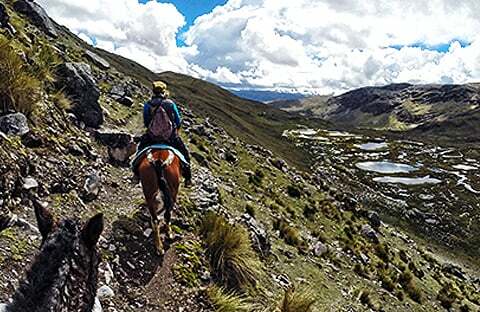 Trek the top trails in the high Andes in the Cusco region! This 5 day tour takes you through 3 beautiful and diverse trails running through Peru´s Andean region. 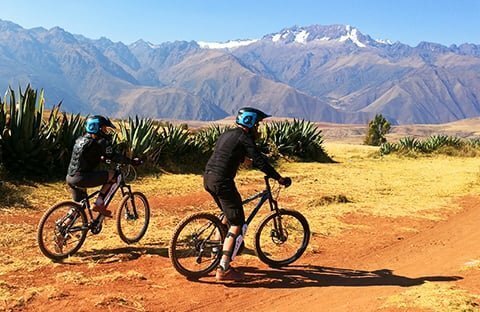 Seize the chance to experience a different perspective of Cusco region in an exciting and active package! This package is for serious trekkers who are in very good physical condition and are ready to hike in the mountains for many hours each day. We leave from Cusco early in the morning at 4:45 am via private car. Trekking through the Ausangate Park takes us to heights of almost 15750 ft (4800 m) and gives us incredible panoramas of the Ausangate mountain. Hopefully we will be able to catch a glimpse of the gorgeous Andean wildlife, including herds of llamas and wild vicuñas. During the trek we will stop for lunch at one of the most beautiful points of the trek, where we will be able to enjoy incredible views while enjoying a hot lunch! If there is enough time after we finish the trek, you will be able to visit the hot springs at Pacchanta! We arrive back in Cusco at around 8:00-9:00 pm after a 4 hour drive in the private car. We depart from Cusco at about 5:30 am by private car from the hotel and drive for approx. 30 minutes. At 6:00 am we begin our trek to the Sacred Valley of the Incas, called Huchuy Qosqo trek. Roughy half of the trail we follow on this day takes us along original paths used by citizens of the Inca Empire, making it a great crowd-free alternative to the mainstream Inca Trail. 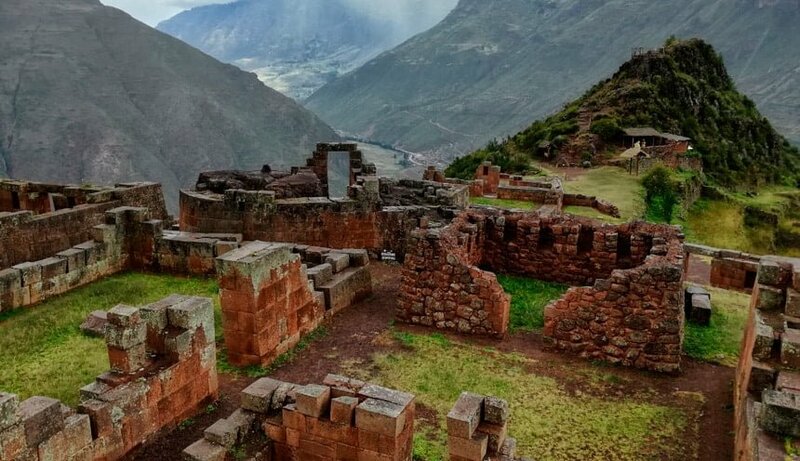 We will pass rarely visited Inca ruins at Huchuy Qosqo before reaching a viewpoint from which we will have a beautiful vista of the Sacred Valley of the Incas spread out below us. Walking down from this point we will reach the small village of Lamay, from where we will drive for about 2 hours to the town of Lares. Here we will spend the night. Lares is a beautiful town, home to some natural hot springs where you will have the chance to freshen up! This day is long and full of walking, we can expect to reach Lares at 8:30 pm. Your accommodation for this night will be in a local hostel (there are no hotels available in the town). NOTE: Today´s trail is difficult, especially in the last part which involves a 1 hour steep downhill hike. You will not need to carry anything except for your water and snacks in a small day pack. All other items we will bring for you to the Sacred Valley at the end of the trek. There is a possibility to hire a porter and horse for the trek, if you would prefer – please inquire at the time of booking. On day 3, our trek takes us through very different landscapes and communities than those we will have already experienced! 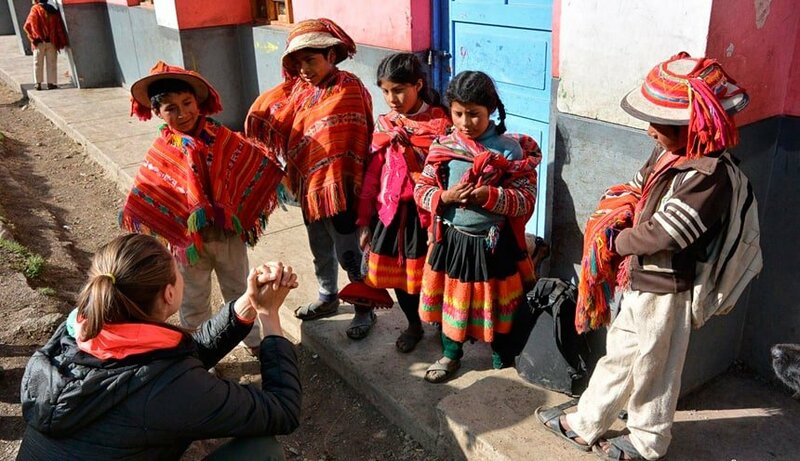 In the trail from Lares to Patacancha Valley we can expect to see charming Andean communities, locals dressed in traditional, bright fabrics as well as herds of llamas and beautiful scenery. We arrive in Patacancha Valley around 5:30 pm. 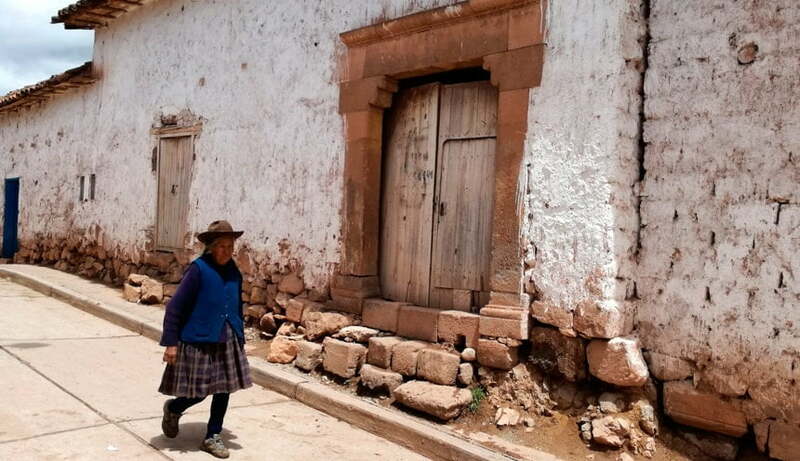 Upon arrival in Patacancha you will meet a local family who will be hosting you for the night. Andean hospitality is unique and you will be invited to join the family for a traditional meal in the evening and for breakfast. Today´s trek is shorter, but no less spectacular. We have some options to change route and extend the walking, depending on how the group is feeling. We will leave the village at Patacancha Valley at about 8:00 am and travel approx. 45 minutes by car to the trailhead. 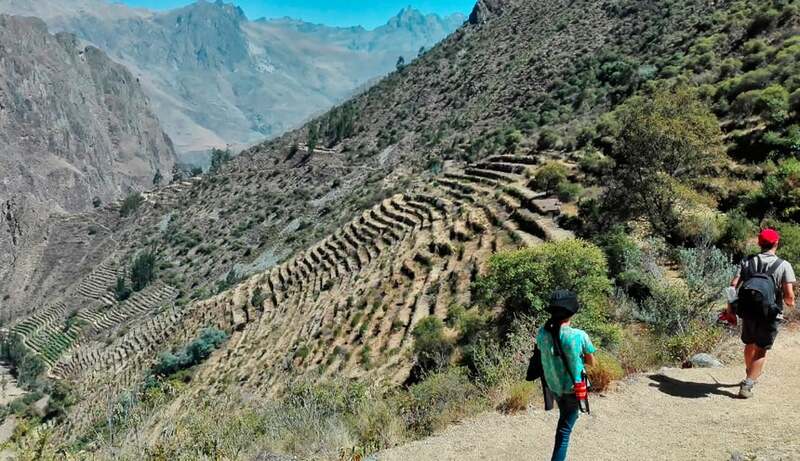 During our trek we will pass pre-Inca ruins at Pumamarca, before reaching the beautiful town of Ollantaytambo – a real gem of the Sacred Valley – where we will spend our time exploring Inca relics with a guided tour. After our visit to the ruins at Ollantaytambo you will have some free time to explore the charming town before we take a train to Aguas Calientes at 7:00 pm. You will arrive to Aguas Calientes at around 9:30 pm. Day 5 is dedicated to exploring the lost Inca city of Machu Picchu – Peru´s most famous site! Inside the ruins there are many options available to you. 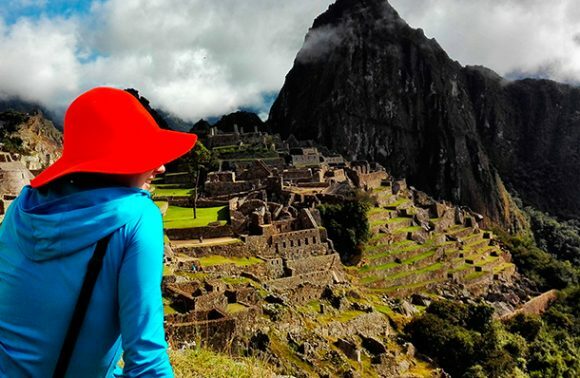 You can hike one of the two small peaks, Huayna Picchu or Machu Picchu Mountain, you can even walk to the Sun Gate (Inti Punku) and/or Inca bridge. 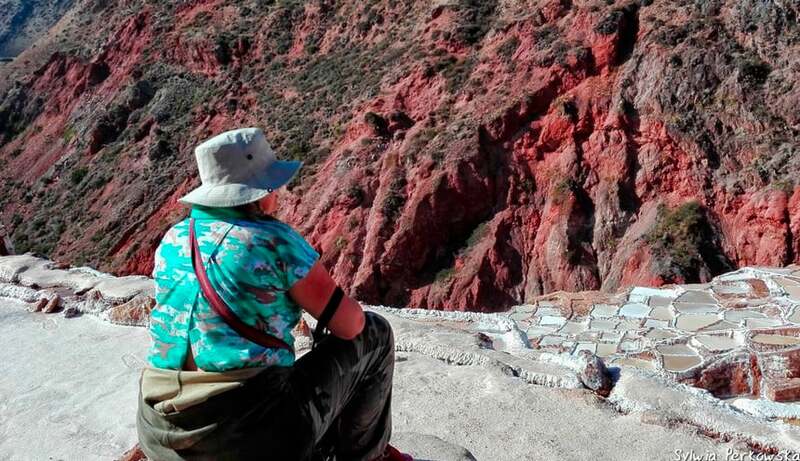 After visiting the ruins, you will make your own way back to Aguas Calientes via bus (with this option, an additional fee for the bus ticket is required) or on foot (around a 1 – 1.5 hour trek), from where you will take a train to Ollantaytambo. You will arrive in Ollantaytambo at around 8:20 pm. In Ollantaytambo, our bus will be waiting to transfer you back to Cusco, where you will arrive at around 10:30 pm. Your “Huchuy Qosqo, Lares and Machu Picchu” tour will end this day in Cusco at Plaza San Francisco. If you would like to stay in the Cusco region or Peru longer and explore more, feel free to contact us. We are happy to modify our tours so that they meet your tastes and expectations.